Some posts on this site may contain affiliate links. This means if you purchase something through one of these links, we may earn a small commission at NO extra cost to you of course! We must have heard this a dozen times from friends and family after we announced our trip to the mighty land of “Fire and Ice”. As Barney from HIMYM would exclaim enthusiastically “challenge accepted!”. Undeterred, we delved into print and online research to gauge an estimate of the hit our bank accounts would take. Was there a way we could visit Reykjavik on a budget? The verdict? Iceland can be expensive…depending on where you spend your money of course. With enough digging around though we found ways to cut down on costs with compromising too much comfort. 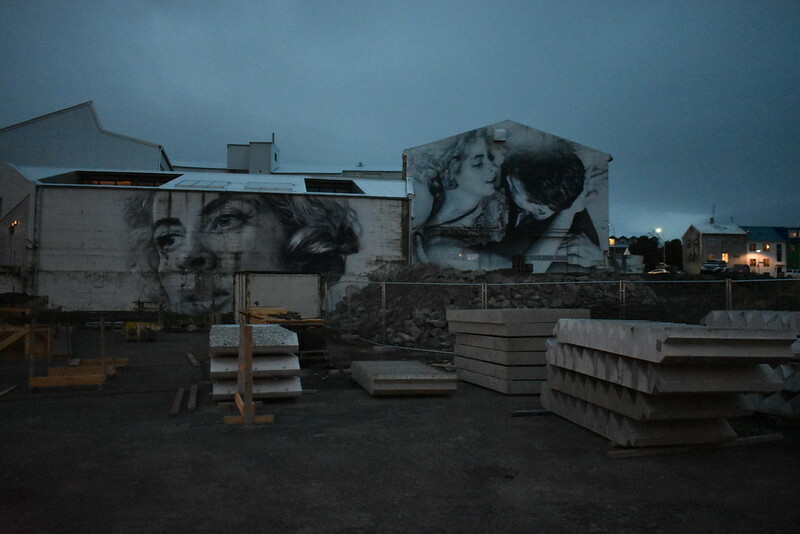 We found that it was possible to visit Reykjavik on a budget and wanted to show you as well. 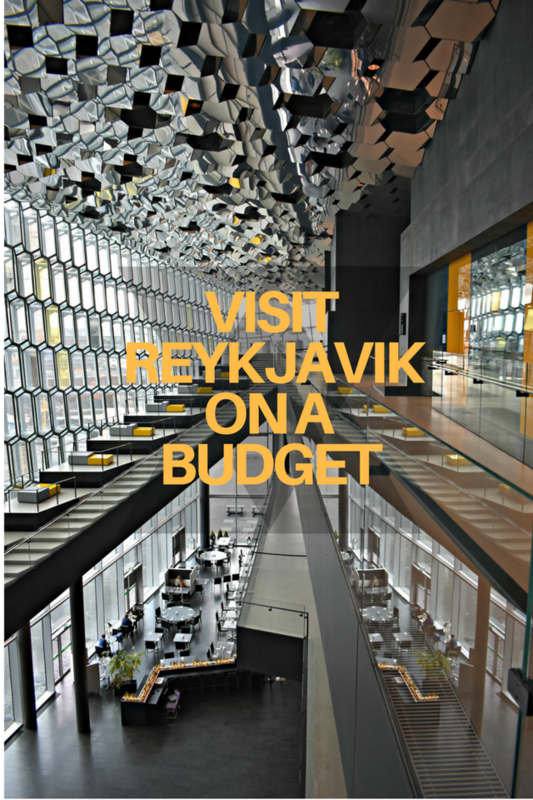 Whether you’ve just arrived in the nation’s capital of Reykjavik, returning from the Laugavegur trail or you’re in the final stretch of your epic road trip around the island here are our collection of helpful resources and tips to help you visit Rekjavik on a budget. Flybus is operated by Reykjavik Excursions and will take patrons from KEF to BSI bus terminal in 45mins. One way is 2700isk (approx. 26 USD) or 3300isk with hotel drop-off . A return trip is 4900isk (approx 47USD) or 2450isk each way. Booking a return trip with Flybus will be cheaper than buying two single tickets individually. Of course, buying tickets separately gives you more flexibility on the last day of your trip.Children under 11 ride free! I know what you’re thinking, why are you including an airline? Well, you can actually purchase a FLYBUS ticket through WowAir you will receive a modest 5% discount with fares of 2375isk one way or 4275isk return.Children under 11 years old ride free on the Flybus when accompanied by an adult. Note that when buying from Reykjavik Excursions or from WOWAIR that you will be charged in Icelandic Krona and possibly subject to a conversion rate based on the time of purchase and conversion fees depending on your credit card. The greyline bus will take passengers from the airport to the Gray Line Bus terminal in about 45 minutes. 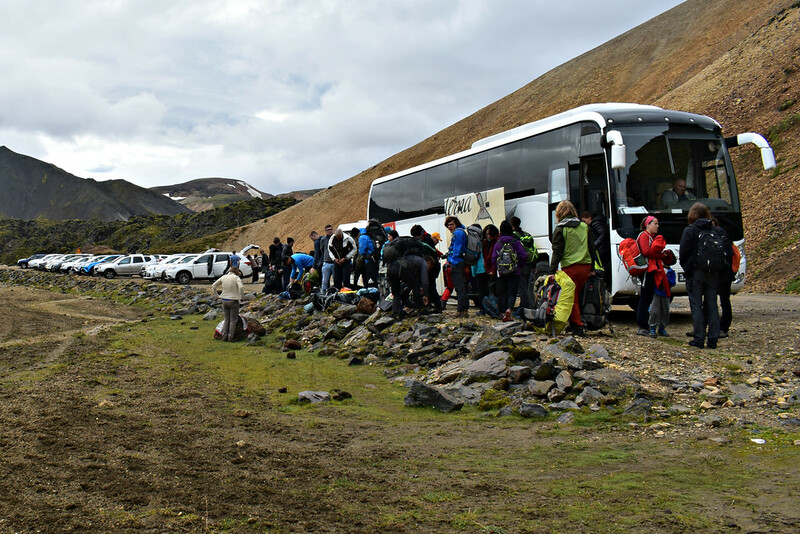 The location of the Gray Line Bus terminal is close to the Reykjavik campsite which is convenient for campers. Children under 11 years old ride free on the Grayline when accompanied by an adult. The grayline costs $19 Euros ($22-$23USD) Done way when terminating at the Gray Line Bus terminal or $23 Euros ($27-$28USD) for hotel drop-off. If you don’t plan on staying at the campsite opt to spend $5USD more because you won’t want to drag your heavy suitcases a couple of kilometers into the center of Reykjavik. Use the promotional code SEE5 to get 5% off your Gray Line bus purchase. Note that Grayline operates in Euros and not Icelandic Krona or USD. So while you can adjust the currency to USD or whichever currency you prefer to pay in, the conversion is only an approximate cost because you will be charged in Euros. Booking a return trip with Grayline will be the same as buying two single tickets individually. Interestingly enough, you can book the Flybus Airport Shuttle between KEF and Reykjavik City Centre one way for 22 USD! This is cheaper than booking directly through Reykjavik Excursions. Plus if you sign up with your email you get 10% off your first purchase which you can use on the Flybus or any other activities you may be interested. Viator is our TOP PICK for getting to and from Reykjavik by bus! Free! However, I would avoid attempting to hitchhike to Reykjavik. I doubt you would find much luck as most people are either on a bus or in their rental car but it’s your prerogative. Maybe you’ll get lucky, but you’ll need to be patient. If you want to take the Icelandic Public Bus Network to Reykjavik you can check the arrival and departure times on their website. On weekdays during the day the buses run every hour or so. Take bus 55 or Bus 55 and Bus 15 depending on the time of day. It should take approximately an hour and 10 mins to arrive in Reykjavik. On weekends buses run every two hours and you must transfer twice from Bus 55 to Bus 1 then bus 15. Expect to spend an hour and a half on the bus. Bus fare from Leifur Eiríksson International Airport (KEF) to Reykjavik is 1840kr. Prices for children are not listed on the website from or to the airport are not listed. The earlier you book a rental car the better a price you can lock in. Summer is high season though so adjust your budget according because it will take a bigger chunk out of the pie than if you were to rent any other time of the year. Rental companies with older cars tend to offer cheaper rates to stay competitive. While we considered it due to the low cost, ultimately we decided that we didn’t want to take the increased risk of an older vehicle breaking down on us during our road trip. This was definitely the most expensive part of our trip (especially as a Canadian!) but the price tag for peace of mind and safety? Priceless. Gas stations offer diesel 8-9isk cheaper than gasoline. The price difference may be small but it will add up, particularly if you’re embarking on an excursion along the Ring Road and the detours that will tempt you along the way. Many car rental companies will offer a discount or a free rental day after a certain number of rental days or weeks. Why not stay a little longer in Iceland if you can manage it? Offers vary between rental companies. Obviously, the more people you have in your car the cheaper the cost of the rental and gas is per person. To fill up the seats in your car visit the Icelandic carpooling site Samferda. You can post seats or request rides and hope for the best! 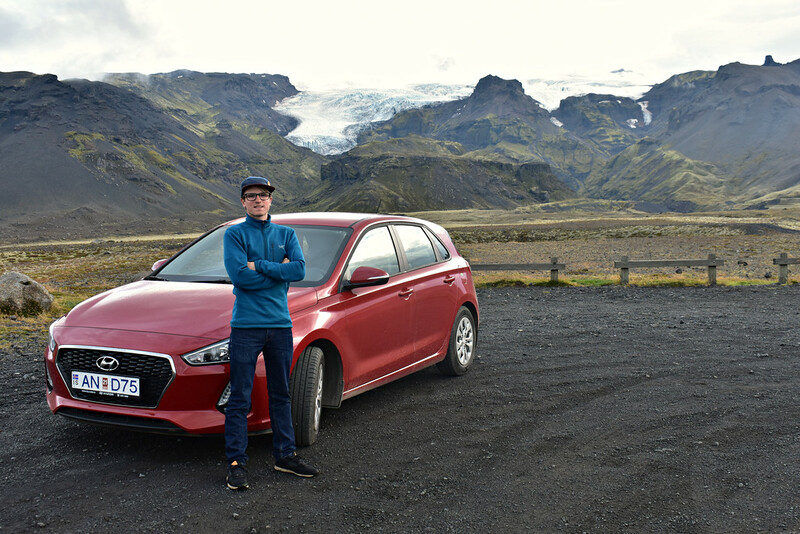 Many rental companies will offer free airport pickup to and from their office on the airport grounds or in the town of Keflavik itself. So pick up your keys and hit the road Jack (or Jill). As a bonus you’ll save on the bus fare to and from Reykjavik. Public transit is an economical way of getting around without incurring the costs of a car rental. Bus fare is 460 isk or $4.40 USD for adults, 220 isk or $2.10 USD for children 6-18 years old and free for kids under 6 year. In Iceland you can pay for almost anything by card. The exception is that buses won’t take you card. Public buses only accept bus passes, tickets or cash and are unable to return your change. How do you combat this? Easy! Just download the Straeto bus app, connect your card details and you won’t have to worry about exact change anymore, just buy your ticket on the go and activate it when the bus arrives! Your ticket is valid for 75 minutes and there’s a countdown on the app so both you and the bus driver know exactly how long you have access for. Download available for Android here and IOS here. If you’re looking to be active while exploring Reykjavik than we recommend renting a bike for a few hours or a day! Reykjavik isn’t a large city and you can easily cover most of the tourist attractions in a day. If you’re staying at or near the Reykjavik campsite you can rent bikes for 24 hours for 4900 ISK. 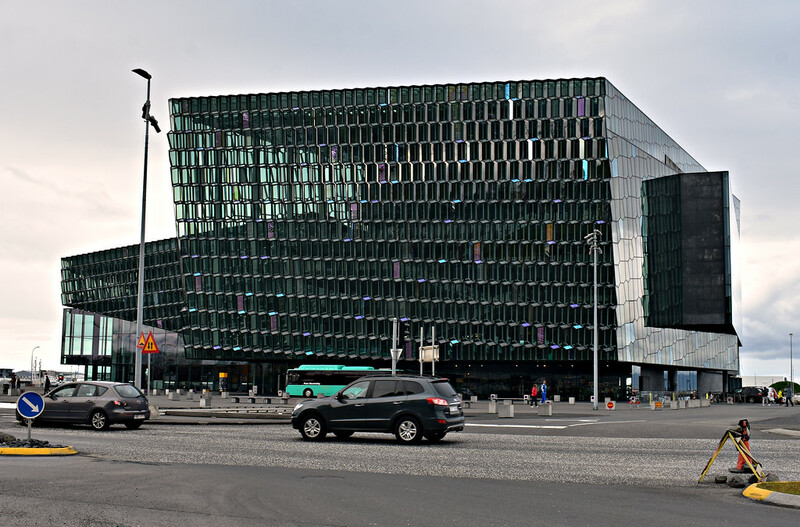 Those that are staying closer to the center of town can visit Iceland Bike, located a ten minute walk from the Harpa concert hall and offers bikes at 4900isk for 24hours as well! Explore on your own two feet! Downtown Reykjavik is small and pedestrian friendly. 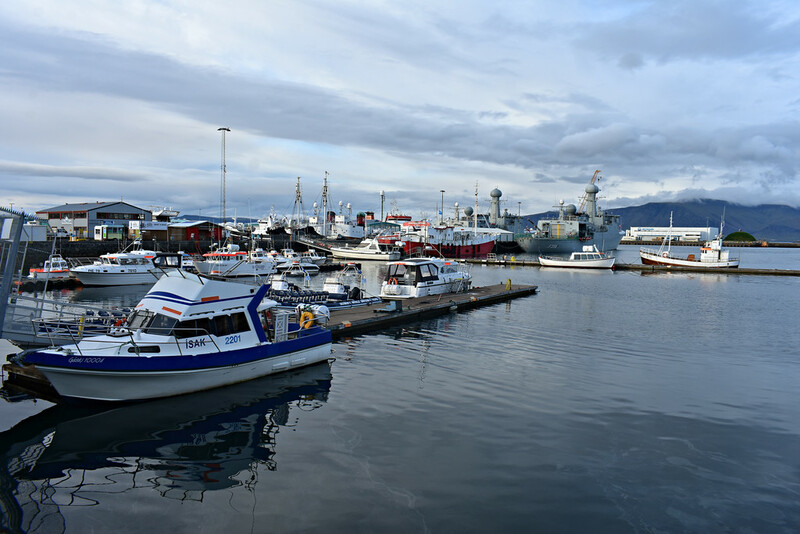 Walk along the seafront to catch a wiff of the ocean scent and to check out the Sun Voyager or Sólfari, stroll along bustling Skólavörðustígur, lined with resturants, stores culiminating with the Hallgrimskirkja church at the end. 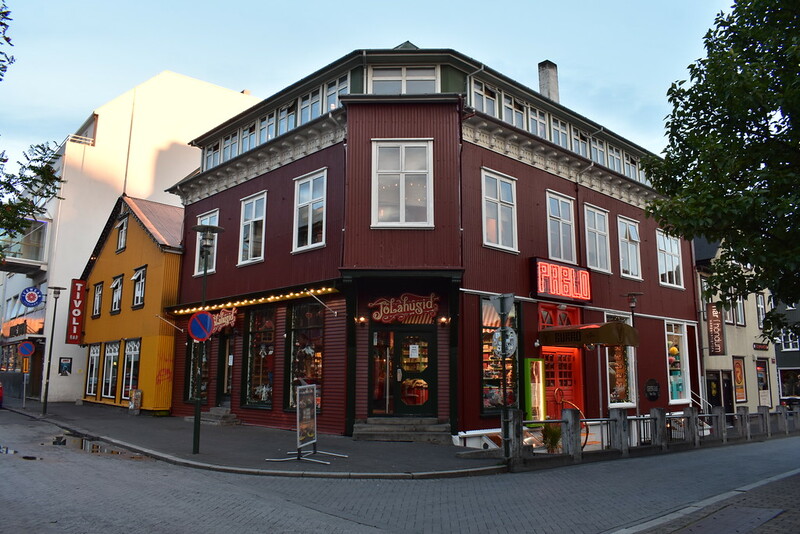 Visit the Laugavegur for more shopping opportunities, nightlife, and colorfully built buildings housing local businesses. It may seem a little crazy buying alcohol early in the morning when you first land in Iceland but trust me your wallet will thank you later if you stock up early! Alcohol is expensive to buy in Iceland due to high taxation. However the international airport at Keflavik withholds taxes on alcohol for customers arriving by air. Thus we recommend stocking up on your favourite drinks from the duty free store at KEF. 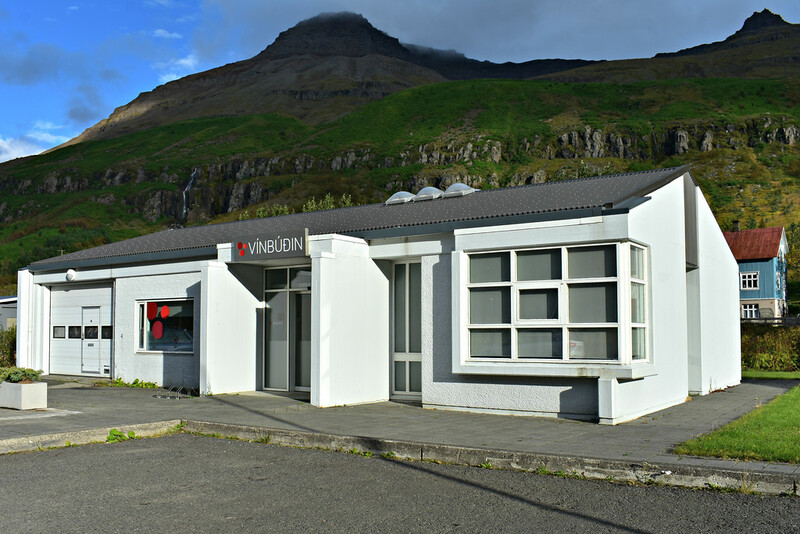 If you didn’t purchase any alcohol at the airport then the next best place to go is the Vínbúðin, the only chain of (government run) liquor stores found in Iceland. You can find alcohol at gas stops, in restaurants and bars but prices will be heavily inflated to match the high taxation and licensing fees. Something to note, certain Vínbúðin locations have extremely limited opening hours, particularly out of season. As in they’re only open between 3 or 4 hours in the middle of the day in some places! Find opening hours here. Download the Reykjavik Appy hour to get the low down on happy hour times in Reykjavik. Bonus, you’ll meet like minded budget travellers or locals this way! Download the Happy Hour app for IOS here and Android here. The best budget grocery stores are Bonus, Kronan or Netto and in that order. 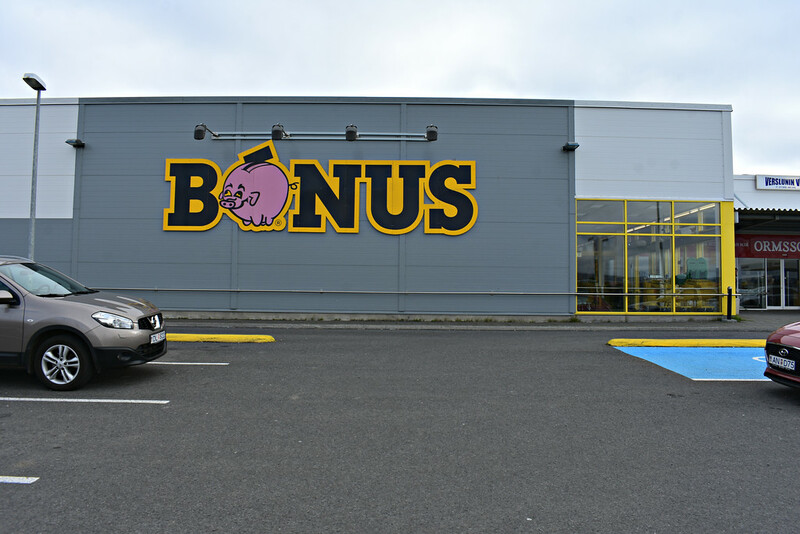 The majority of the Bonus stores in Iceland are found in and around Reykjavik which makes sense seeing as the capital holds 1/3 of the population. You can’t miss the giant pink (crazy eyed) pig! The newcomer to Iceland, Costco, arrived in Reykjavik in 2017. Icelanders seem to welcome the American retailer and the savings that come part and parcel with this giant wholesale retailer. Avoid 10-11 if you can, it’s a tourist trap. They may have the longest business hours of the day but they also have the priciest products. Eating out in Iceland is definitely more expensive than we’re used to in either Canada or Belgium still, we couldn’t resist grabbing a bite or two. The Saegreifinn or The Sea Baron for their delicious lobster soup and cozy communal vibe. The Ostabúðin for their affordable and delightful lunchtime specials. 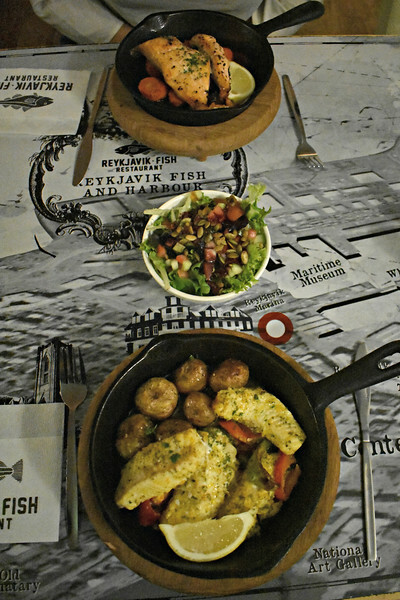 The Reykjavik Fish Restaurant for their fish and chips, scrumptious traditional icelandic fish stew “plokkari”, baked fillet of fresh salmon with local vegetable and fillet of cod in bread crumbs with chips. This was our favourite place to eat, could you tell? Centrally located with great views from the rooftop terrace, a spacious lounge to social in and a vibrant atmosphere with plenty of events through the week. Social atmosphere, trendy interior design, delicious food with typical Icelandic prices, live music, reasonable prices and close to the center of town. Clean and lively hostel located in the center of town. Resturants, bars, stores and major tourist attractions are quickly accessible. Sign up with a new account at Airbnb and get a $30EURO or $35USD discount on your first stay! This is how we scored a night’s stay in an Airbnb within a 10 minute walking distance from the Harpa concert hall, smack dab in the centre of town for $53USD total for two people. We also left our baggage behind for a week while we were hiking the Laugavegur trail and exploring Porsmork. Though to be honest, our airbnb was more basic than we would have like and could have used more upkeep. However the owner was friendly and the location was fantastic so it sufficed. The Reykjavik campsite is a great budget option with wifi, showers, and free camping supplies that guests take and leave behind! Quiet, social and relaxed atmosphere on site. The downside is that it’s located a few kilometers from the center of town. Feel the soft sandy beach with your toes at Nautholsvik Beach and make use of the geothermal hot pool available. Alternate between a dip in the cool seawater then warm up in the hot spring sourced pool. Note that while the beach is open year round, the pool is not maintained in the winter months. Stop by the glass-domed restaurant of Perlan after visiting Nautholsvik Beach and enjoy the free view from the observation deck. You can’t miss a visit to this visually impressive concert hall. Walk around the interior for unique views. At the back of the building, there are more glass windows to peer out from for a great view of the bay! Visit the Grótta Island Lighthouse by car or bike. If there are clear skies you might even catch a glimpse of the Northern Lights! Walk along the seafront and admire the view of the mountains across the water, that is, if the fog hasn’t enveloped them. 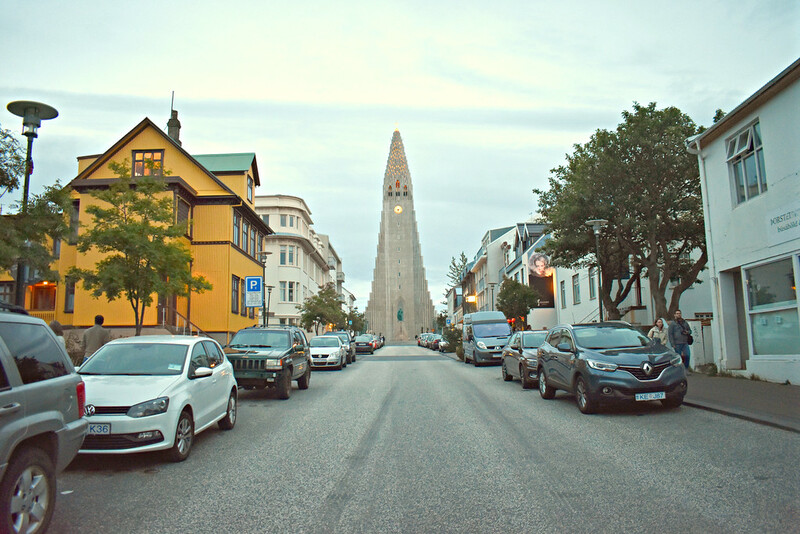 Admire the tallest building in Iceland from below and then ascend to the top of the Hallgrimskirkja church for great views of Reykjavik and the surrounding area for a small admission fee. We’ve noticed that churches with grand exteriors often have plain interiors. Go for a fun and relaxing dip at Laugardalslaug with its thermal pools, hot tubs, slides and steam rooms . Talk to a local, make a new friend! Visit the botanical gardens after if you’re interested and the flowers are in bloom. Keep your eyes open for street art and unique stickers from around the world. We spotted several large grafitti and/or street art pieces when touring the center. 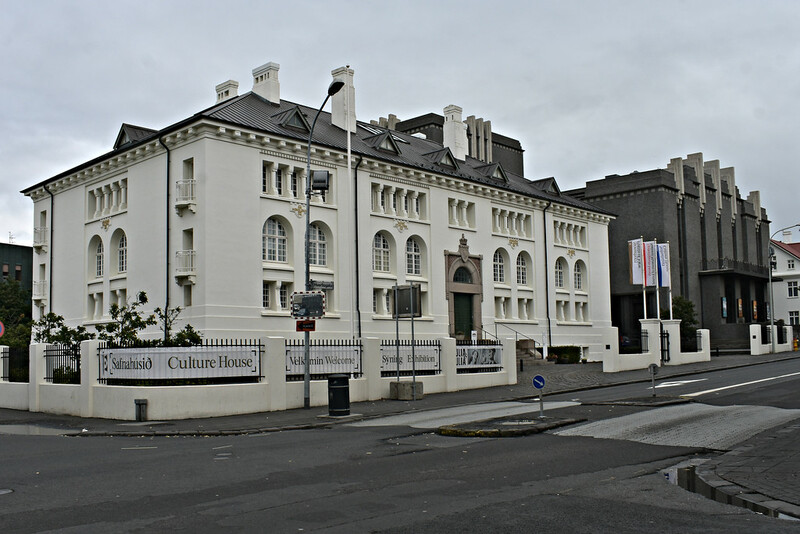 The Loftkastalinn can be found at Vesturgata 55, 101 Reykjavík, Iceland. Take a free walking tour of the city and get better acquainted with this delightful and quirky Northern capital. Great way for solo travellers to meet new people. You might see them again later on in your trip! 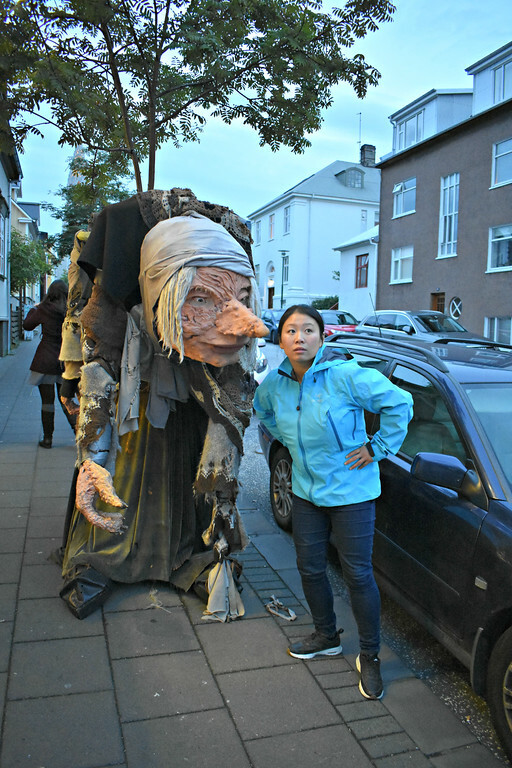 Be on the lookout for giant trolls in the center of town along Skólavörðustígur. They may just be propped outside for the tourists’ amusement but it makes for a fun photo opportunity! If you’re keen to combine culture, fun, and ease get the Reykjavik Welcome Card. The card grants you free access to numerous museums, 18 different thermal pools (including the Laugardalslaug), free unlimited transit use and return ferry rides to Viðey Island (another free half day activity once you dock on land of course!). It pays for itself after two museum visits and a return bus ride. Travelling in the off season has many benefits in Iceland has so many benefits! The fairweather travellers are gone and you’ll have room to breathe at attraction sites, accomodation, restaurants and tours that normally would be bustling with people. Your rental vehicle will be least 20% cheaper in fall or winter than if you visited in the summer. This stretches your budget for nicer accomodation and eating out occasionally. Rental cars legally have to be equipped with winter tires between November 1st and April 15th and are usually included in the rental rate. This would be premium add-on in other countries, including Canada. Accomodation times prices drop as well and you’ll have access to lower rates in hostels and reasonable hotel prices. Many products in Iceland have to be imported onto the island, so with the costs of shipping, tax and duty in mind, merchandise found in Iceland will probably cost more than what you would pay for (or be willing to pay for) at home. Clothing and outdoor gear is expensive so be sure to buy everything you need BEFORE you leave. The weather can change without a moment’s notice so you will want to be prepared with proper clothing, footwear. This being said, Icelandic city residents won’t be walking around in hiking gear all the time (only tourists do), instead they opt for fashionable yet rugged pieces that will stand the weather. Nordic prices may be higher than what we’re used to but it’s still entirely possible to save money on your stay in Reykjavik. This quaint city feels more like a small town and you could easily stay here for a few days and unwind in the hip, relaxed capital. Ready to get out of the city? Explore the classic Golden Circle on a day trip from Reykjavik! Have you been to Reykjavik? Do you have any other budget saving tips and advice? Let us know in the comments below! BONUS: GET OUR FREE 100 PAGE PHOTOGRAPHY EBOOK! Thanks for the tips on this. I’m really excited to eventually get there! I’ve never heard of Wowair or Grayline before so will check them out! I had never really thought about visiting Iceland, until I read your post. It looks like a fabulous place to check out! Thank you for this! I’ve always wanted to go to Iceland because I see how gorgeous it is. But I did think it was too pricey. This has showed me that I can afford to go in a few years. I’d try to go off season! These are great tips to travel on a budget. Public transportation is always a great option when available, because it is so much cheaper than taking taxi’s or renting a rental car. These are really great tips, it’s nice to be able to travel and not break the bank plus who wouldn’t love to go travelling and safe some money at the same time. Thank you for sharing. I wouldn’t mind visiting Iceland. I would choose to visit on the offseason to save money especially. I always appreciatenjoy reading tips to save ad stretch a dollar while traveling. It is amazing the places you can manage to see on a budget, if you just plan everything so carefully. These are some absolutely wonderful tips to make the most of your budget and see the best of Reykjavik. I am far too scared to hitchhike, mainly due to the death of someone I knew. I love the idea of renting a bike! Reykjavik is a fascinating city and the gateway to the treasures of Iceland. You have written a very comprehensive guide which will stand in good stead. Thanks for your budget travel guide it is very helpful. I will send this to my bestie, she is visiting this place 3-months from now. Iceland is such a fun experience! We want to travel there soon so thank you for all the good tips. During what period did you travel there, the weather seems ok? Reykjavik, Iceland is one of the places I really want to visit soon. That fish restaurant looks nice. I think I know my next gastronomic adventure! always wanted to visit iceland but hesitated a lot as i heard it is expensive! will surely keep this in mind as it will come in handy in the future! That is a really awesome place to travel to. I love how you can do it with little cost! I just want to hop on one of those boats and experience the view from the water, then from land. I’ve never considered going there but after seeing your photos and seeing what all there is to do, I’m going to add it to my ever-growing bucket list. So much to see over there. I’m always looking for trips we could do as a family. Personally, I’d prefer taking the bus instead. I have a thing about hitchhiking. Maybe it’s because of the things you see in the movies. I never thought about visting iceland because it would be too cold, lol but it’s not the issue at all. Before just accepting this advice about which kind of rental car to get (with respect to fuel type….gasoline vs diesel), travelers should take into account the actual fuel economy of the vehicles too. In many cases, the diesel vehicles get good enough fuel economy to compensate for the higher cost at the pump. Never been here but sure looks like a nice place to be. This is very insightful, thanks for sharing! Public tansport is affordable for everyone luckily i have lot a memories with public transport so i prefer public transport. This is very usefull post who like to travel. This is very insightful, Thanks for sharing.